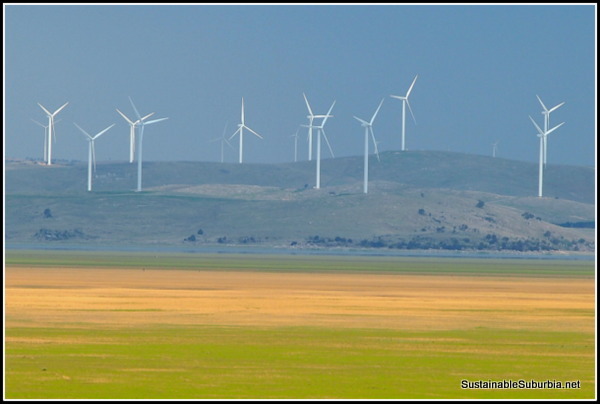 There is ‘no evidence to suggest that inaudible infrasound (either from wind turbines or other sources) is creating health problems’, according to a recent report delivered by the Australian Senate Standing Committee on Environment and Communications. The report was prepared in response to a bill introduced by Senators Nick Xenaphon and John Madigan, designed to bring in new regulations for the wind power industry, which the committee ultimately rejected. In addition to examining the reports of health problems, and the 165 submissions made to the committee, listening to expert witnesses and examining existing research, the report also noted some recent research, peer reviewed but not yet published, in which subjects in a double blind trial were ‘exposed to infrasound and sham infrasound’. The results were that those who expected to suffer symptoms did so, whether or not they were exposed to real infrasound. Similarly the ‘low-expectancy group’ suffered no change in symptoms, regardless of exposure. Any health effects in evidence then, may be the result of paranoia and unsubstantiated media reports of risk, rather than a true reaction to infrasound. The conclusion of another study noted that ‘no adverse health effects other than annoyance could be directly correlated with noise from wind turbines’. In the end, the report concluded that while their may be some potentially adverse effects, they appear to be limited to the audible range of sounds, and that the current regulatory regimes around the country provide adequate protections and are consistent with those operating elsewhere in the world. It also noted that further work is being undertaken by the National Health and Medical Research Council, however. The full report can be found on the Parliament website: Renewable Energy (Electricity) Amendment (Excessive Noise from Wind Farms) Bill 2012 Report. I saw a TV commercial the other day about wind generators. It features a farmer talking highly about them–he can farm between them. It made me smile to know that not all farmers are against them–like the media sensationalism makes out.